Before and after photographs of various electric motors and component parts show the results of aqueous parts washing in the StingRay 4063 Electric Motor Parts Washer. Typical wash times are less than 15 minutes. 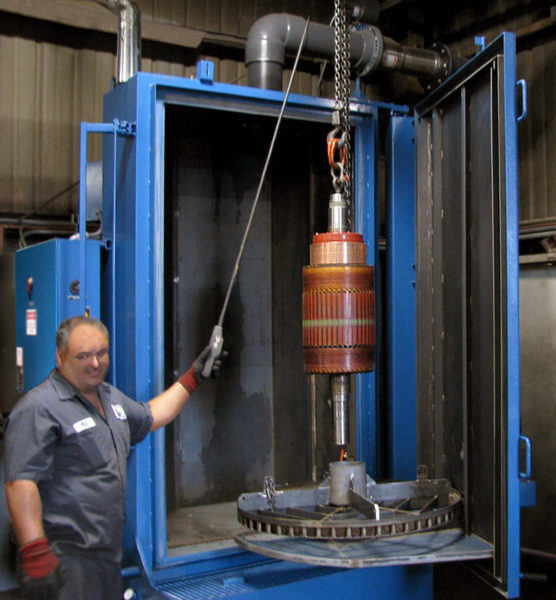 Rotors, stators, armatures, housings and end bells are degreased, rinsed and dried. Low conductivity, high rinse capability Power Kleen IIIL electric motor detergent is compounded for cleaning of windings, aluminium and all other electric motor parts without damage. 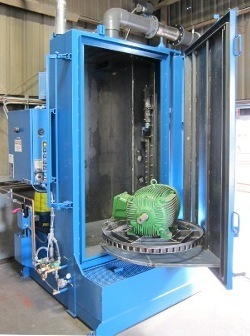 The StingRay Parts Washer is also used for alternator and generator repair and rebuilding. The unique oscillating spray wash system nozzles blast the electric motor components at a different angle with each rotation of the turntable. The StingRay Power Wash method is thorough and precise using the correct parts washer power density for electric components washing. Insulation resistance testing with a megaohmmeter after cleaning and drying prove there is no damage to windings. Various methods of drying the motor windings include air dry, oven baking, heat lamps or even using a vacuum chamber for the fastest dry time. 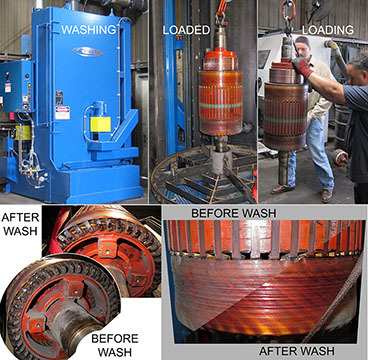 Electric motor washing process, click on photo for large view. 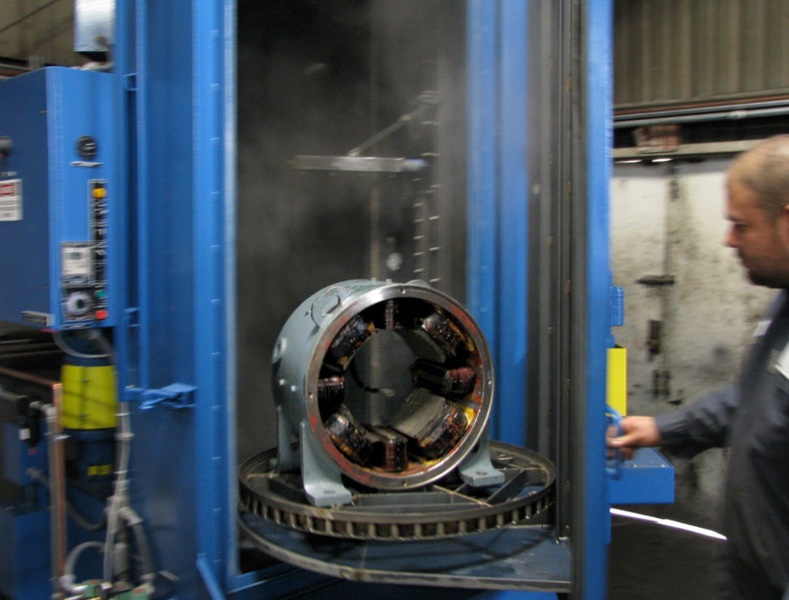 Visit the electric motor cleaning results page for additional photos and other size parts washers before and after photos.